Ashlin is a sweet six year old girl that lives in Oconomowoc, WI. When she was three years old she contracted E. coli and was left with significant damage to her kidneys. Ashlin’s family did absolutely everything they could to keep her off of dialysis so she could enjoy life like every other six year old. Anyone who knows Ashlin will tell you that her smile is contagious. You can read more about her story on her Facebook page named A Kidney for Ashlin. Over the past several months Ashlin’s kidney function started dropping further and she was once again faced with the prospect of going on dialysis. She was switched to active on the kidney transplant list and on Father’s Day was fortunate enough to get a new kidney. 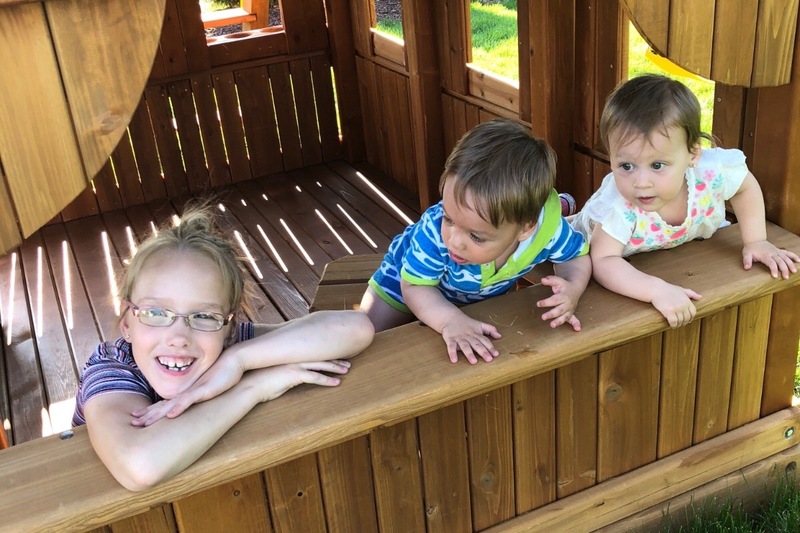 One of the few things that has brought Ashlin joy as she went through this tough time was her beloved playground system that her family purchased. As she recovers from her transplant at Children’s hospital, one of her main goals is to get well enough to be able to play on her playground again. Unfortunately, a few people in Ashlin’s neighborhood seem determined to make sure that doesn’t happen. Despite the fact that the playground was approved by the acting Home Owner’s Association before it was installed, the current Home Owner’s Association is now demanding that the playground be removed because they did not obtain approval from the Architectural Control Committee, even though the committee was not active when the playground was installed. Ashlin and her family have been through more than enough with her health issues and this is the last thing they need to be dealing with right now. They have hired an attorney and are committed to doing whatever they can to ensure Ashlin can come home to play on her playground and have that symbol of hope to continue to bring her joy as she recovers. This fundraiser has been set up on behalf of Ashlin’s family to help cover the legal fees incurred during their battle to save Ashlin’s playground. Half of all funds raised will be donated to American Family Children’s Hospital at the University of Wisconsin (where Ashlin had her transplant performed) in her name.